Since inception in 2002, CoolMinds Technologies is striving to keep pace with the dynamic IT business ecosystem. Our tactical innovative solutions cater to the rapidly changing needs of the consumers. We are capable of transforming your business to a technology compliant solution. Delivering customer-centric, robust, secure, and cost-effective business solutions is our forte. We have designed and developed holistic e-commerce ASP (Application Service Provider) platforms and SaaS (Software as a Service) models for various leading organizations in India and abroad. We also offer a wide spectrum of software solutions for varied industry verticals. Our technically skilled expertise has pioneered the art of developing quality performance-oriented business solutions across time zones. We adopt systematic and transparent methodologies to address the customer requirements and deliver effective and efficient services on time. Our Adaptive Global Delivery model facilitates quick ramp up and ramp down of resources, reduces overheads, and improves productivity. Located in the God’s own country - Kerala, India, CoolMinds Technologies operates from Infopark, Kochi. We are a privately held company, registered under the Registrar of Companies, Kerala, India. Leverage our services to achieve your expectations. Abraham Jacob is a successful entrepreneur and a software expert with more than 25 years of experience in the information technology sector. 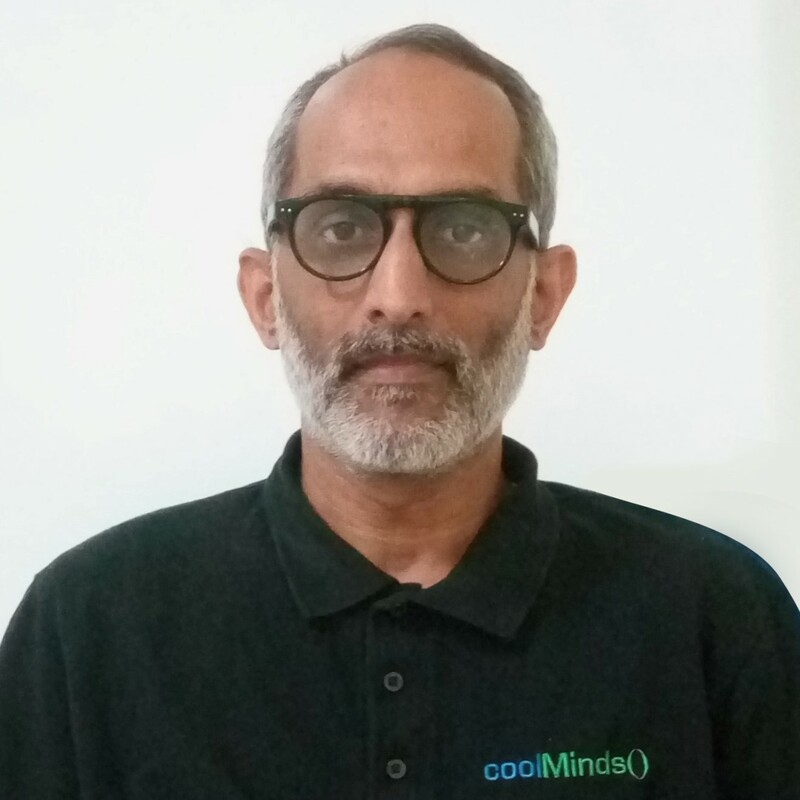 A dedicated problem solver well-versed in the technological methodologies and strategies in IT, Ecommerce, and Telecom sectors, conceived and founded CoolMinds Technologies in 2002. His primary ideologies while setting up CoolMinds was to create customer-friendly software deliverables and an employee-friendly working environment where principle focus was on innovation and ethical practices. He currently heads a devoted team of passionate IT professionals capable of developing and deploying robust intelligent business deliverables. 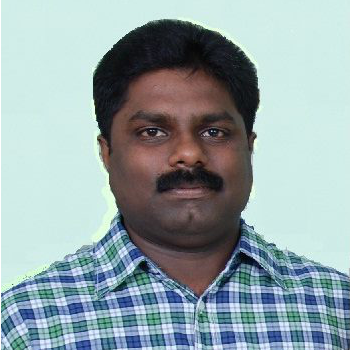 Abraham, an alumni of College of Engineering, Trivandrum, Kerala, India has led extensive teams and held responsible executive positions in various companies in India and USA. His vast experience, unique leadership, and business management skills has helped numerous organizations explore potential opportunities and implement wide range of customer- focused business solutions. Earlier, Abraham has held executive positions and served in organizations such as Tata Consultancy Services, Oracle, DigiTerra, Qwest, and CDAC (formerly ER&DCI). 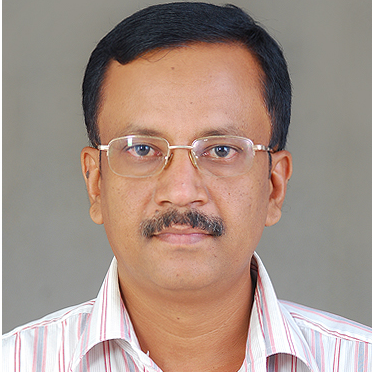 Kishor Karthikeyan began his journey in CoolMinds in 2003 as a Senior Software Engineer. The professional journey of this hard-working software technical expert from Senior Software Engineer to the CTO of CoolMinds is worth appreciation. Kishor’s in-depth knowledge about customer requirements, challenges faced, and latest software technologies has helped CoolMinds deliver quality products and services. With over 16 years of experience, this technology strategist specializes in Software Development and Application Support. His prime responsibilities include motivating and guiding a technically talented team to design and implement business enabling solutions. Kishor, a leader with people and project management skills, has helped CoolMinds succeed in executing a wide range of offerings for different industry verticals effortlessly. Kishor holds a Bachelor's degree in engineering from the National Institute of Technology (NIT), Calicut, Kerala, India. His competency in managing IT operations with a key focus on optimal utilization of resources has assisted many teams across organizations in India implement successful projects. Earlier, Mr. Kishor has held executive positions and served in organizations such as The Federal Bank Ltd. and Square Deal Design & Engineering India Pvt. Ltd.
John Jacob, the COO of CoolMinds is responsible for financial management and human resource management of the company. He started his association with CoolMinds as a Database Consultant. His devotion to his work helped him climb the ladder of success in his professional journey and went on to become the COO of CoolMinds. This dedicated software technical specialist has over 26 years of extensive experience in the IT industry in both public and private multinational companies. With 16 years of experience in Database Design, Deployment, and Database Administration this exceptional database consultant has mastered the art of efficiently handling shared and clustered database environments in major platforms. John, an alumni of College of Engineering, Trivandrum, Kerala, India has headed extensive teams of technical professionals across the globe. His in-depth technical expertise, matchless commitment, and financial and talent management skills has been instrumental in executing quality products and services. Earlier, John has held senior leadership roles and served in organizations such as Collectronics, Axiant, Local.com, neoVerge, CiT Limited, Memex Information Systems, and Videsh Sanchar Nigam Ltd.
CoolMinds Technologies is a fast growing organization that values and encourages hard working workforce in the IT industry. We are a combination of unquestionable wisdom and humility. CoolMinds Technologies is an equal opportunity employer. If you want to challenge your capabilities and conquer the unexplored territories in the IT industry, then CoolMinds Technologies is the right place for you ! Our experienced team identifies the right talent, nurtures it, and helps to grow into technically sound professionals competent to face the challenges of the industry. Fresh graduates with ME/M Tech/BE/B Tech/MCA degrees are also welcome. Periodic assessments and interviews for different experience level candidates are conducted. We are looking for Software Engineers with more than 2 years of experience in Java/J2EE. Apply now! Copyright ©2017 coolMinds Technologies Private Limited. All Rights Reserved.